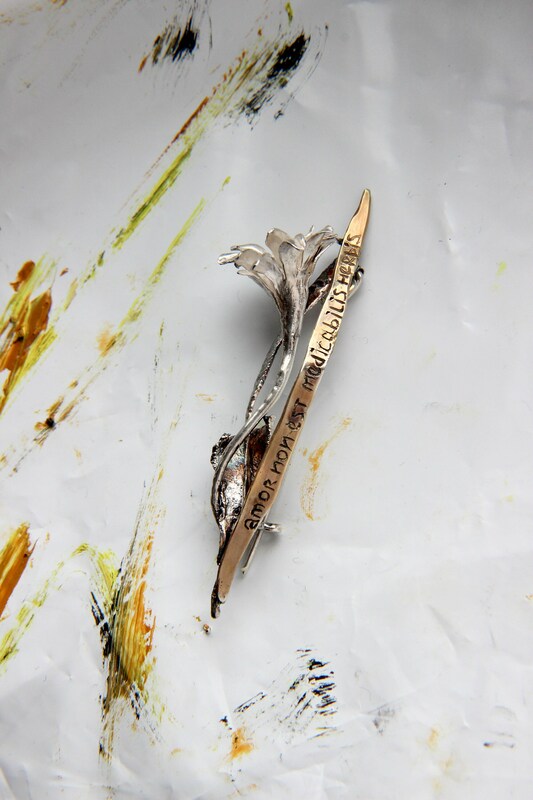 This unique sterling silver brooch with latin quote is made within my personal 'natura naturata' collection. I used traditional metalsmith techniques to make this floral art jewelry piece. 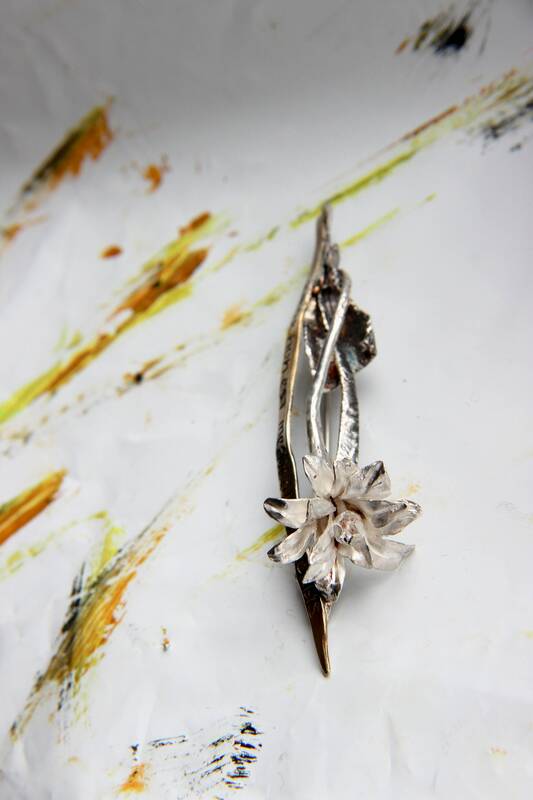 The flower is hand-sculpted, not cast, I used pieces of reticulated silver and put an effort to hand-engraved latin quote "amor non est medicabilis herbis" which means "there are no herbs that can cure love". This OOAK botanical jewelry piece won't be reproduced. It makes this unusual brooch as unique gift or her. 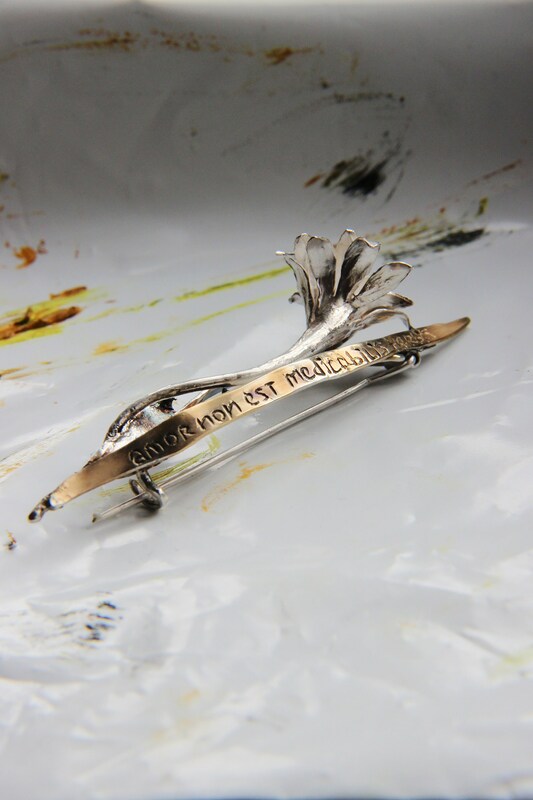 I can make another art jewelry pieces, botanical jewelry or latin quote jewelry by request. ‘natura naturata’ - this expression was invented by Spinoza and means ‘nature natured’. I often feel like not a creator but transmitter, when ideas come by themselves and I am just one of the phases of bringing abstract ideas to material life. First time I tried to work on the entire series without rational behaviour, all this is the result of an impromptu work. “The term describes a passive God, or more specifically, the passivity of God (substance) when it is predicated into modes, and is contrasted with the second part of Spinoza's dichotomy, natura naturans, meaning "nature naturing", or "nature in the active sense".